Riyadh, Oct. 12 (BNA): The first SuperClasico to be held in Saudi Arabia kicked off on October 11 with the national teams of Iraq and Argentina duelling it out in a “friendly” at Prince Faisal bin Fahd Stadium in Riyadh. The match ended in a 4-0 victory for Argentina. The opening match follows on Friday by a nighttime confrontation between Saudi Arabia and Brazil at Riyadh’s King Saud University Stadium. In line with recent social reforms in the Kingdom, the stands are expected to be filled with both male and female fans of the Saudi team. The SuperClasico will present a number of friendly matches featuring the national teams of Saudi Arabia, Iraq, Argentina and Brazil. 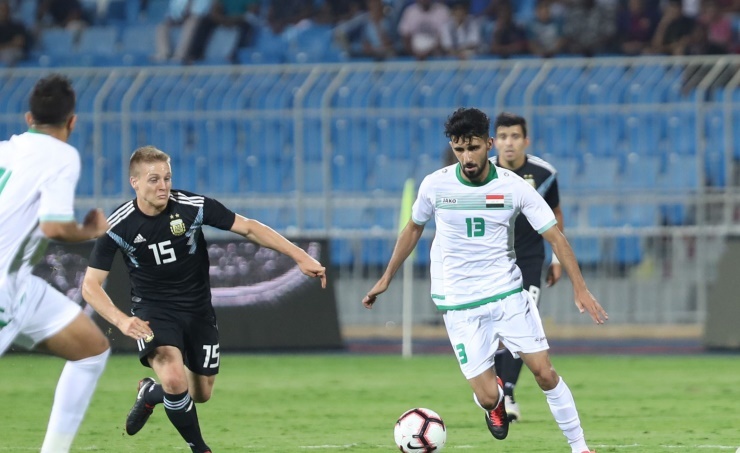 The round-robin friendlies will conclude when Argentina and Brazil face off at King Abdullah Sports City in the Red Sea port city of Jeddah on Tuesday, October 16. Prior to that, Saudi Arabia and Iraq will battle it out at King Saud University Stadium in Riyadh on Monday. The SuperClasico is one of a number of sporting events that will take place in the Kingdom as the temperatures turn cooler in the lead-up to winter. The number of sporting spectacles across the Kingdom is on the increase in line with guidelines laid out by Vision 2030 to promote a sports culture in Saudi Arabia for both spectators and professional and amateur athletes. The events are organized by the General Sports Authority (GSA), which is chaired by Turki Al-Sheikh who also heads the Saud Arabian Olympic Committee. GSA and the Saudi Football Federation joined forced to organize the SuperClasico. Meanwhile, Twitter and the GSA have announced their partnership to livestream the SuperClasico matches exclusively for the MENA audience, with the commentary and analysis being in Arabic. The matches will be available regionally on @gsaksa and the Twitter app. Tickets for all the matches are available online at sauditickets.sa and at all stadiums where matches take place.